In this free contest, your task is to design a promotional art piece for the launch of a new version of Dungeons & Dragons. 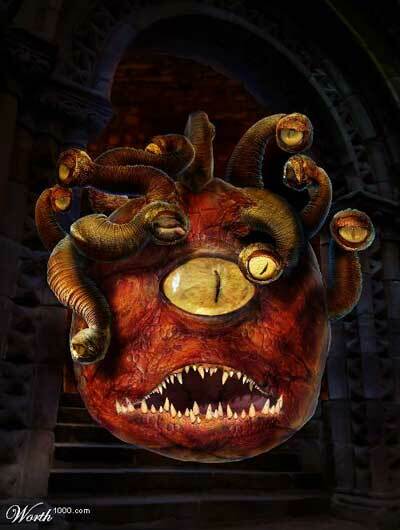 Wizards of the Coast is launching the 4th Edition of Dungeons & Dragons on June 6 and they want this contest to not only generate excitement, but to also provide them with promotional art pieces that celebrate the Beholder, an iconic monster in the game. The client is a large gaming company located in Renton, WA. The design will be used for special events, art galleries, press releases, web galleries, etc.. The top entry that the client chooses will receive $100*. The second entry that the client chooses will receive $100. The third entry that the client chooses will receive $100. The top voting winner will get 100 credits. Designs may contain the words „Dungeons & Dragons“. This is not cAsE SeNsItIvE. Wording is optional, but if „Dungeons & Dragons“ is used it should be spelled with an ampersand. The design can contain any number of colors. They are hoping to get 8×11 size promotional art pieces that they can then use in an art gallery for a launch event, as well possible local ads. So 8×11 at 300dpi would be great (so they can print and/or save them down as well for Web purposes). 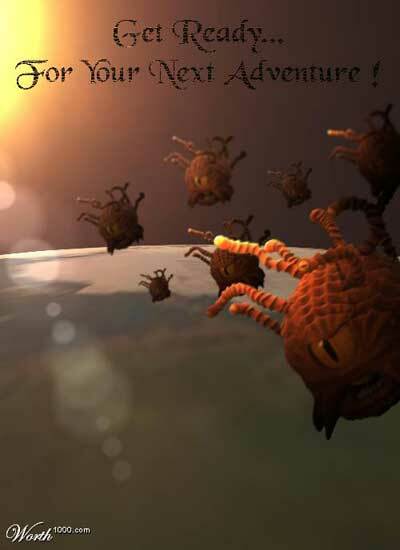 The client would like the beholder monster (the provided one or one of your own making) combined into an iconic setting, real world or fantasy based – illustrated or photoshopped (i.e. landscapes, imagery, pictures, landmarks, monuments, etc…). 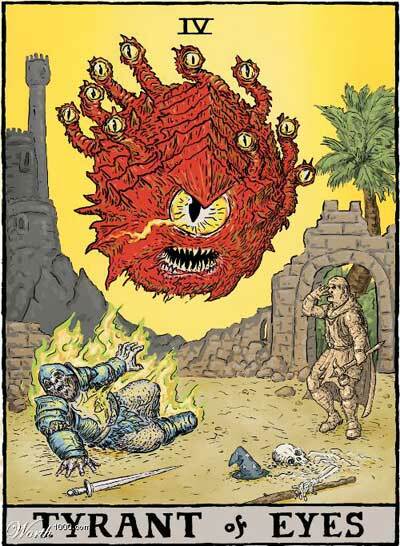 Your design should be considerate of the passion that fans feel towards the Dungeons & Dragons game. 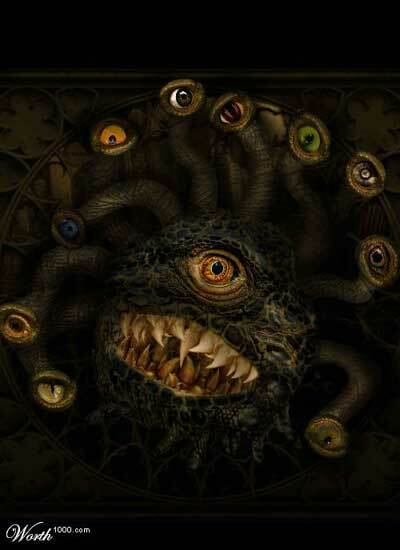 The Beholder monster must be used. Nothing explicit or anything from competing companies may be used. Any font may be used. Please upload your font to your corporate files area. Before entering this contest you must read this thread. Beeindruckendes, wie kreatives ist ebenso zu sehen wie auch amateurhaft zusammengeschustertes. 100$??? Das ist ja wohl ein Witz … Als Geldpreis nicht ernst zu nehmen, als Fan-Preis einfallslos.